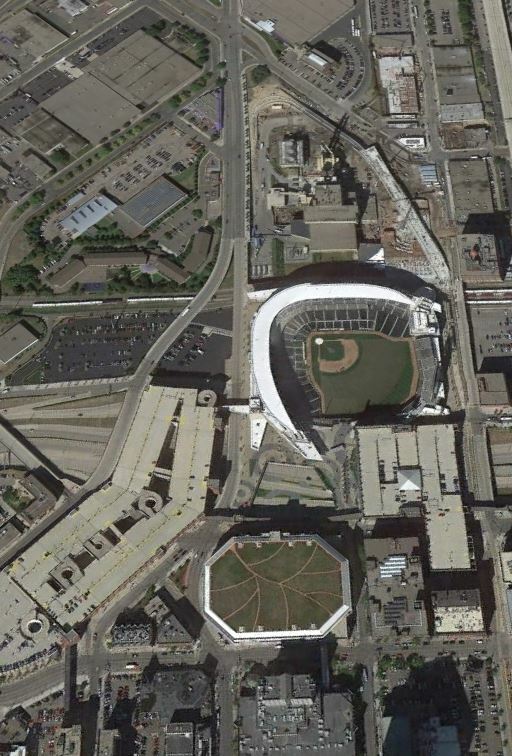 Where the Target Center is. 7th and Glenwood. 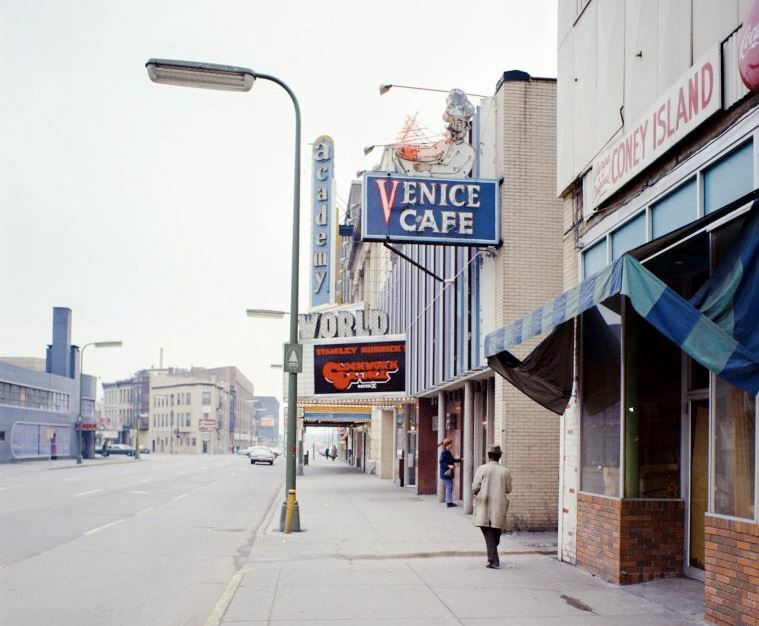 For a reference point, the "Coke" sign at the bottom is 1st Ave. Took me a while to figure out the geographic orientation of this photo. 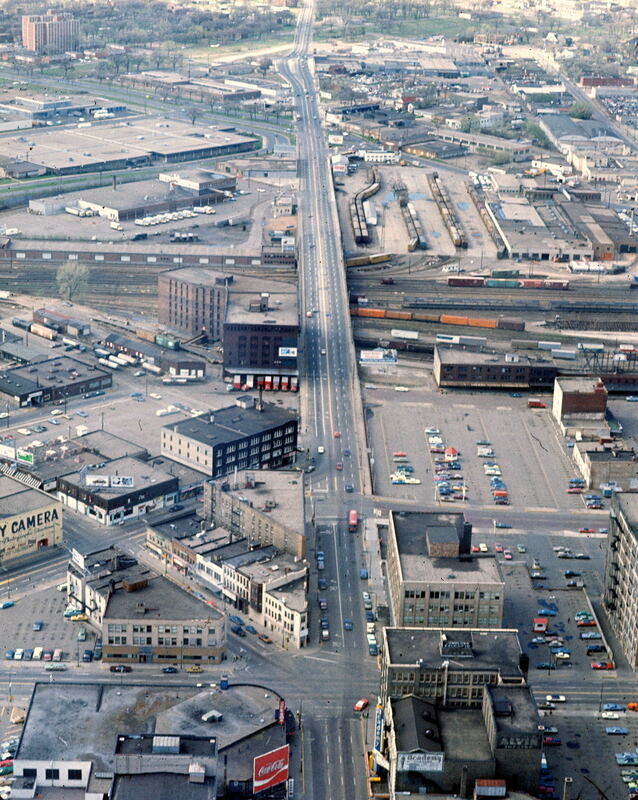 I thought you meant that was 1st Ave N, not First Avenue. When's this photo from? There's more rail there than I remember. I'm guessing that 394 too most of it out. I'm assuming it's from '76 or slightly earlier. Goofy's location was relpaced by Target Center parking, not the building itself. 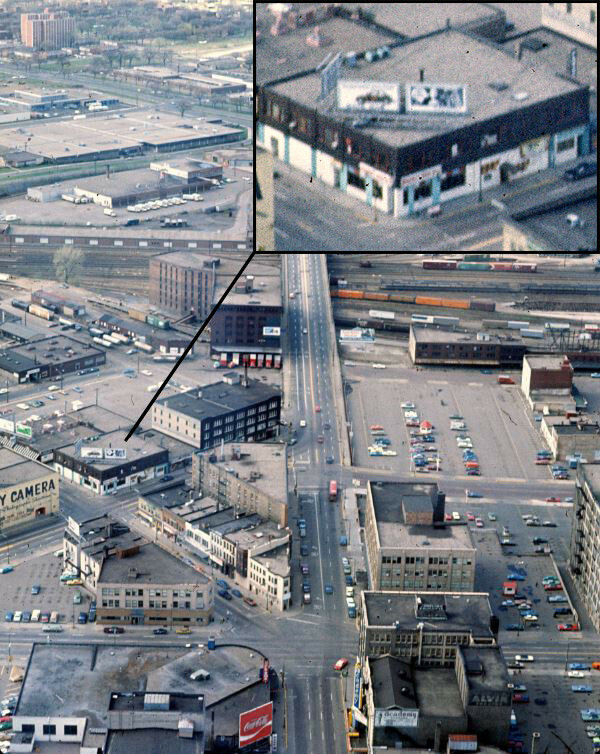 The only discernible remnant from then to now is First Ave and that triangle shaped bar across the street. My sis danced at goofy's when she was under aged, so I stayed away from that place. Bummed I missed the punk shows there tho. I miss Goofy's. That joint was fun. Ahh... the shows.... Minutemen, Black Flag, Husker Du, Impaler, Whipping Boy, Effigies, Youth Brigade. Groid, Otto's Chemical Lounge, Final Conflict, Ground Zero, Man Sized Action, Bad Brains... etc. etc. and so on and so forth. I was even there the last night with the riot and all. Very, she still is too. She is my hero.